As part of our Heritage Open Days on Saturday 9th and Sunday 10th September, South Manchester Camera Club will be displaying two exhibitions on the balcony of our Sports Hall. Their first exhibition will be their general theme annual exhibition while their second exhibition will be entitled ‘Manchester’ and will contain images created especially for Victoria Bath’s Heritage Open Days. 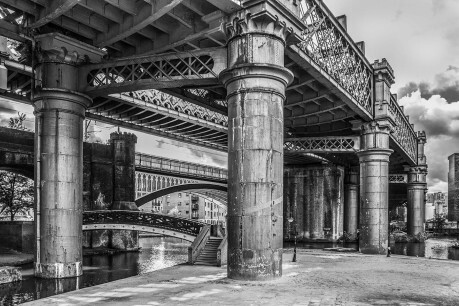 South Manchester Camera Club are an enthusiastic group of over eighty men and women of all ages and all abilities. They offer weekly talks, host events and encourage their members to develop their photographic skills by entering monthly competitions and contributing to regional and national competitions and exhibitions. For further details of the club including the forthcoming programme, please visit their website at www.smcc.org.uk or follow us on Facebook and Twitter @SouthMcrCC.